Time and attendance systems that are used for businesses must be updated to meet the needs of the 21st Century workplace. Meet those needs with uAttend. The uAttend time clock and employee management system was designed to leverage the power of cloud computing for time and attendance tracking. With the uAttend time clock software system, every employee time clock use will easily update a cloud tracking system that can be easily managed by managers and even sync with payroll. For businesses with security concerns, uAttend offers advanced time clock technology for biometric identification. Try the biometric fingerprint reader or the advanced face scanner to keep businesses safe or keep employees accountable and honest. This technology is especially beneficial for controlled offices such as lab environments, companies that work with personal information such as credit card information and more. 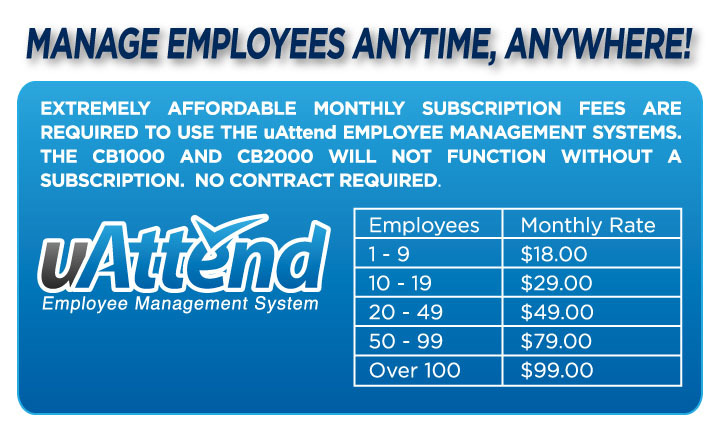 The uAttend time attendance software is one of the most affordable high tech time tracking systems on the market packages start at only $18.00/month. 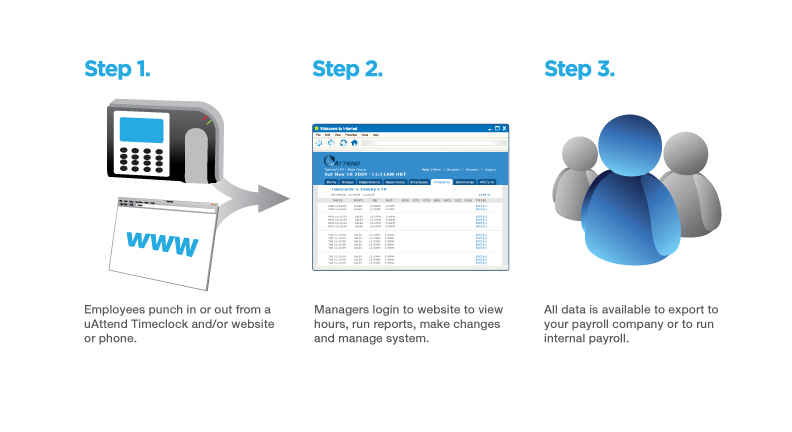 Leverage the power of cloud computing for real-time employee tracking at a low cost with uAttend!